Magic Jelly : The All Purpose Beauty Gel Everyone Been Raving About! NEW AND IMPROVED FORMULA WITH CHAMOMILE AND JICAMA! NEW BENEFITS - BRIGHTENING , ANTI-AGING, BOOSTER SERUM. OUR STAR PRODUCT. ALMOST 100 000 BOTTLES SOLD NATIONWIDE! Magic Jelly by LOVERA is an Aloe Vera based gel which serve as an additional piece of must-have product in your daily beauty regime. Magic Jelly by L’OVERA is extremely versatile that it can be us for soothing & moisturising on every part of your body including arms, legs, nail, face and hair. Magic Jelly by L’OVERA is enriched with Aloe Vera which traditionally known for its benefits to effectively soothe & moisture skin conditions such as flaky or dry , cosmetic ailments, hair and scalp problems and many more. With its refreshing scent , non-sticky gel & cooling effect , you will be surely be addicted to it! Magic Jelly by LOVERA is free from harmful paraben , mineral oil and artificial colors which can damage our delicate skin. Magic Jelly by LOVERA is suitable for all ages and can be utilized by both male and female. Magic Jelly contains nothing but natural substances that works miracles on your skin , hair and face. Magic Jelly by LOVERA is manufactured from a GMP Certified Factory and with KKM approval and Halal certificate from JAKIM you can spread this glorious gel from head to toe without any speck of doubt. It’s all good! 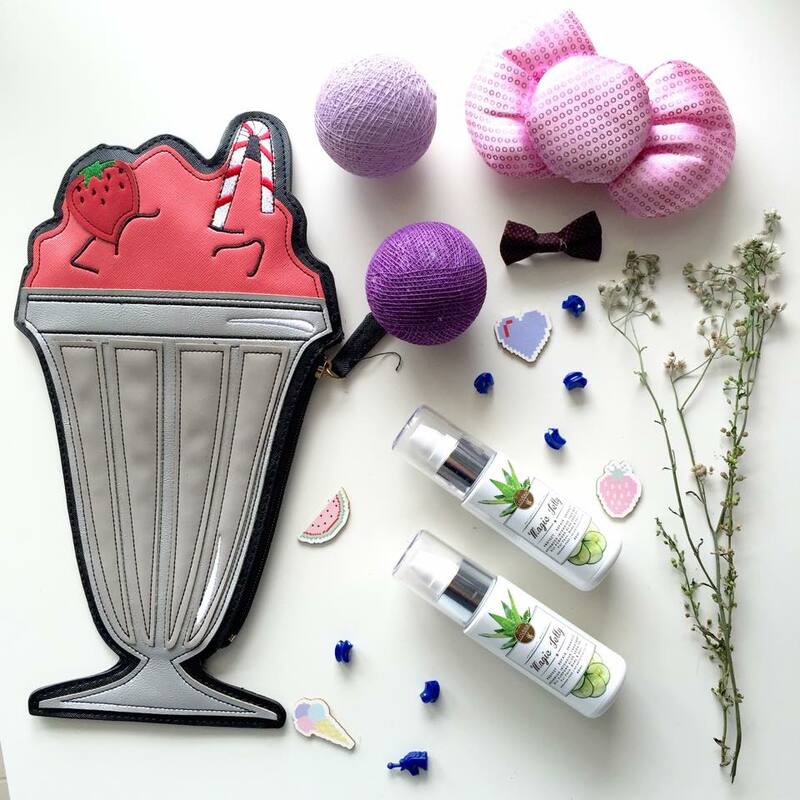 Magic Jelly is best paired with our new LOVERA COMPLETE CLEANSER! See more LOVERA MALAYSIA natural products range!